I have been visiting Dudhwa Tiger Reserve in the State of Uttar Pradesh from 2011 and never saw a tiger in the day. It comprises of three regions- Dudhwa National Park, Kishanpur Wildlife Sanctuary and Katerniaghat Wildlife Sanctuary. 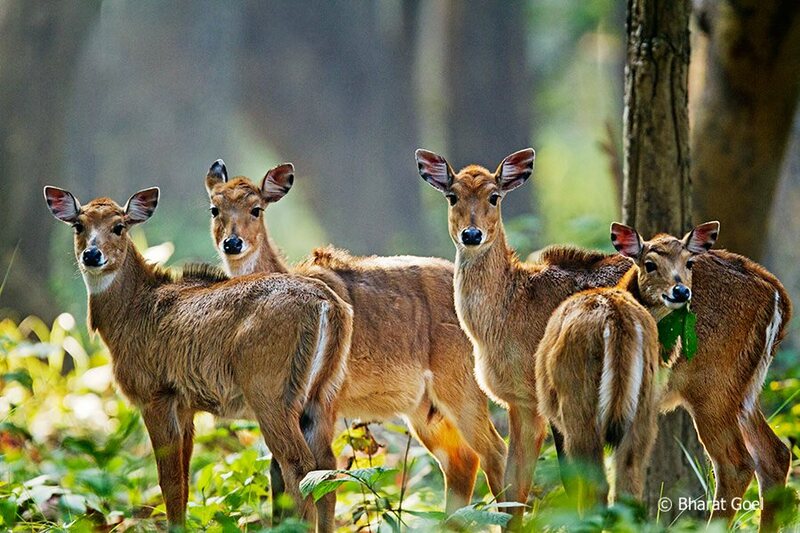 In Dudhwa National Park one can see elephants , one horn rhinoceros, five types of deer and lot of migratory birds apart from a large population of resident birds. Kishanpur is famous for swamp deer/ barasingha, and tiger sightings are generally more in this sanctuary as compared to Dudhwa. I have not covered Katerniaghat till date but it is home to Ghariyal and Gangetic dolphin that can be seen during winters. In Dudhwa National park , Salukhapur is the place for getting into the one horned rhinoceros fenced area of about 28 Sq km, on an elephant back. 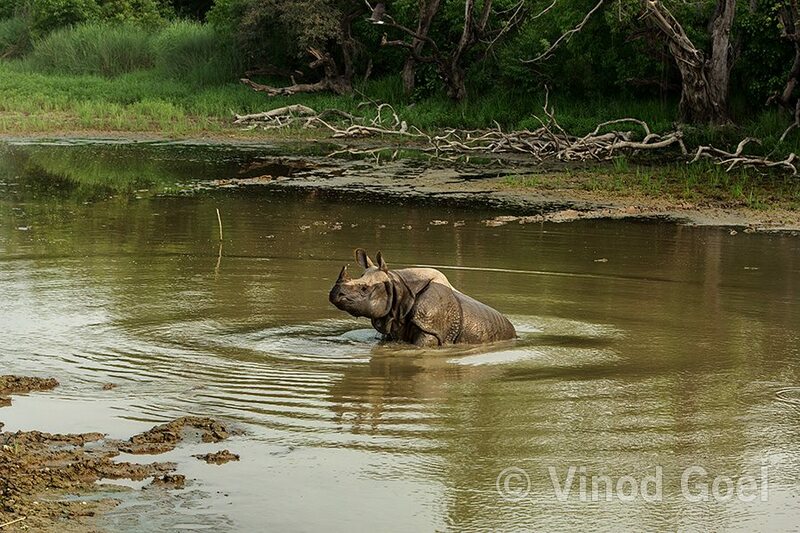 In the year 1984 Rhinoceros were translocated from Chitwan National park in Nepal and Pobitora Wildlife sanctuary in Assam as once upon a time the Terai belt was having rhinoceros .In fact this is the nearest place from the capital of India to observe rhinos in their natural habitat. 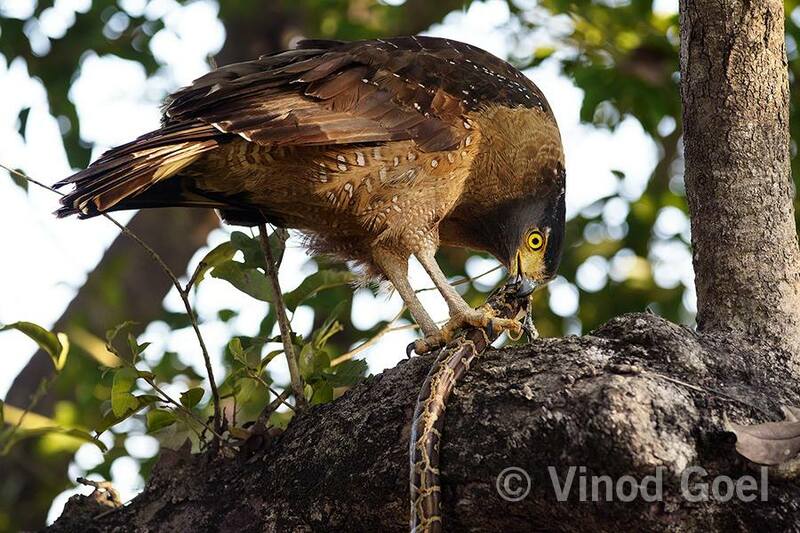 In December 2011 myself ,my son Bharat along with mahout Irshad shot the most memorable photograph, crested serpent eagle feeding on a Burmese python on a branch of a tree in the Rhino fenced area. During my 4th visit to the park in June 2017 in evening safari at Kishanpur wildlife Sanctuary , we were lucky to see a tigress on the ring road at Jhari Tal. 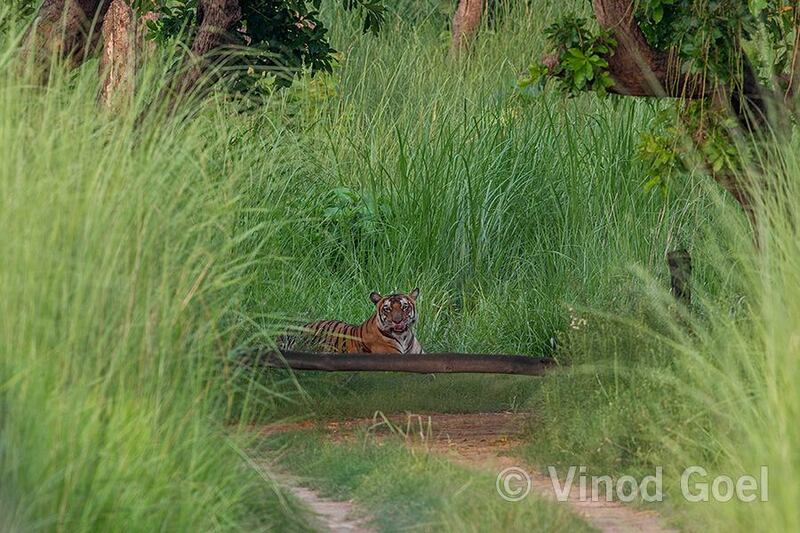 The tigress was sitting at the crossing of route no 5 and 6. It was sitting for about 10 minutes. Finally I saw a tiger in Dudhwa National Park after 5 years.. Our guide informed that during the last 13 years this was his 5th best sighting when he saw the tiger moving on the road for such as long time. We were really blessed. 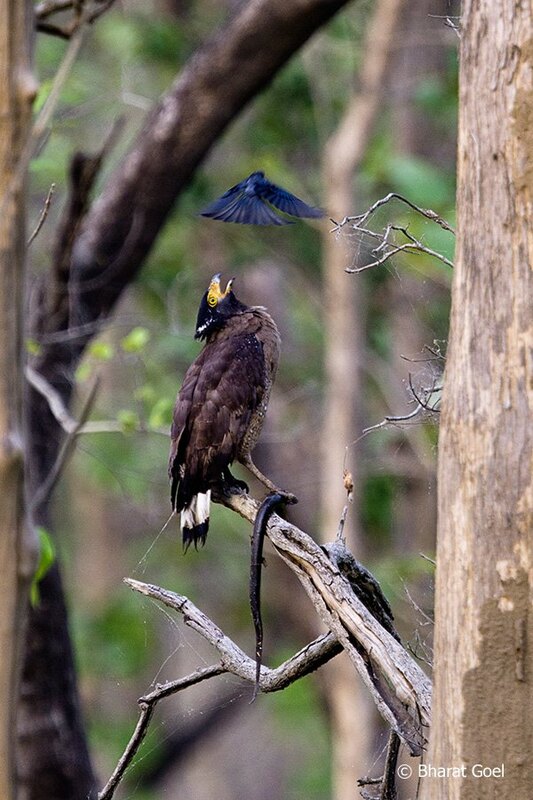 During our stay for four days during June of this year in Dudhwa Tiger Reserve covering its two areas, we could see more than 50 species of birds apart from various animals such as elephants ,deer ,barasingha ,sambar ,rhinoceros and tiger of course.